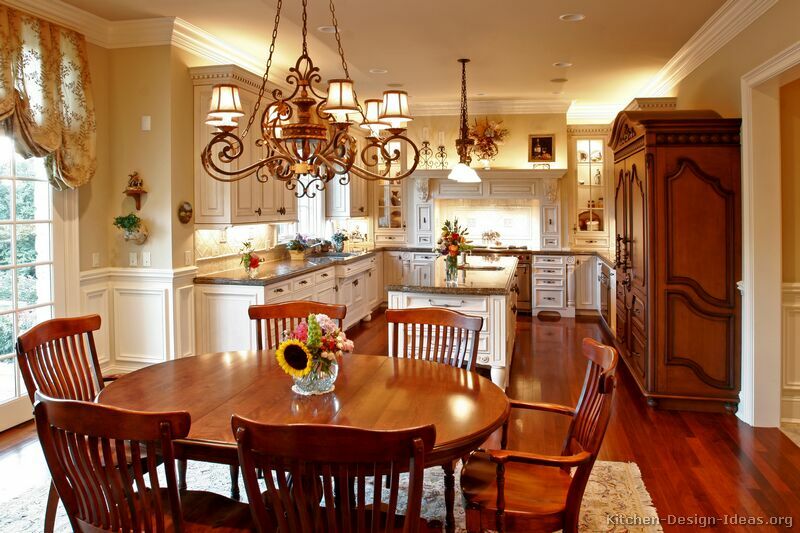 Antique kitchens have distinctive features that come from an earlier period in history. Whether an authentic restoration or a fresh remodel, the unique character of this style brings a sense of age and beauty to any traditional home. Old wood, aged paints and finishes, hardwood floors, and kitchen cabinet styles that look like old furniture can be used to create this look. In this kitchen, the refrigerator and freezer are built in to a custom wood surround that looks like traditional wood furniture (a “refrigerator armoire”). Carefully selected lighting, faucets, cabinet handles, and hardwood floors coordinate the look of this this antique style home. Keep in mind that old artwork, dishes, chairs, and chandeliers can give your kitchen a sense of history, and turn your home into a work of art. 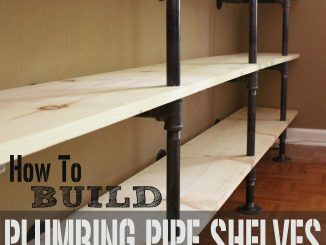 Interior designers will often bring in a piece of old furniture for a new remodel in order to give the room a more authentic character. 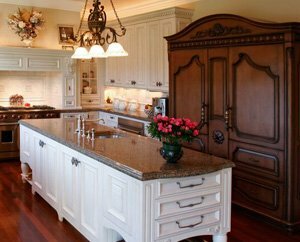 Old furniture can be installed to create an antique island, for example, or an interesting china hutch on the side. 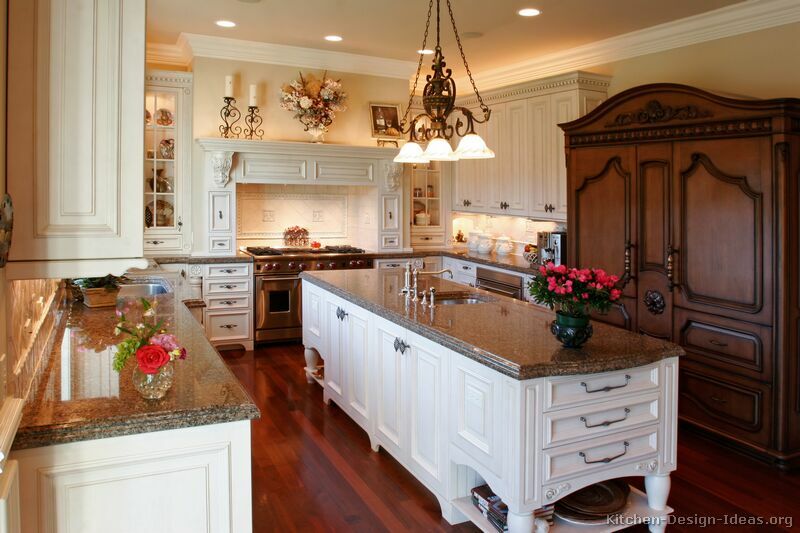 Kitchen Design Photos: Below are some pictures of antique style kitchens for your enjoyment. If you are interested in the beauty and character of antique cabinets for your home, you might enjoy the photo galleries of Victorian, French Country, and Vintage kitchens as well. Enjoy the photos!